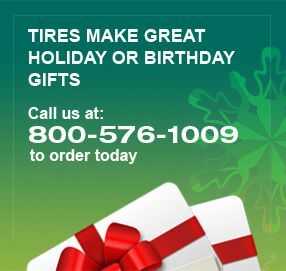 Nokian Hakkapeliitta 8 SUV - Studded Tires at Discount Prices - Free Shipping! • Nokian Eco Stud 8 Concept. Extreme winter safety and softer road contact. More winter grip, driving comfort, and durability. Unique stud technology. A new-generation, eco-friendly anchor stud, a flange design that reduces stud impact, and the Eco Stud cushion that improves the operation of the stud and further softens road contact. The placement of each stud has been computer optimised. The studs are not placed in rows, and the stud distribution proceeds evenly across the entire tread surface. No stud is behind another, ensuring the best possible grip under all conditions. • Hakkapeliitta Cryo Silane Gen 2 tread compound. Excellent winter grip under all temperatures, excellent wear resistance, and lower fuel consumption. The large amount of natural rubber keeps the compound flexible under all conditions. The sipes on the tread blocks work actively regardless of variations in grip level and temperature. Superior winter grip is ensured both near zero degrees and at very low temperatures. Added rapeseed oil increases the tear strength and ice grip of the compound. • Nokian Tyres manufactured the world's first winter tyre to match the winter frost in 1934. Two years later, the Nokian Hakkapeliitta was born in the Nordic winter; currently, it is one of the most well-known winter tyre brands in the world. 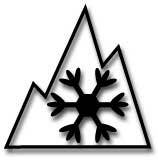 2014 is the 80th anniversary of the invention of the winter tyre. • Like its predecessor, the new Nokian Hakkapeliitta 8 SUV has a directional tread pattern and a fixed direction of rotation. Thousands of winter tests tell the same story: The directional and symmetrical tread pattern is the ideal choice for demanding, varying winter conditions. The symmetrical tread pattern of the stylish Nokian Hakkapeliitta 8 SUV supports wide stud placement, which optimises grip and reduces driving noise. 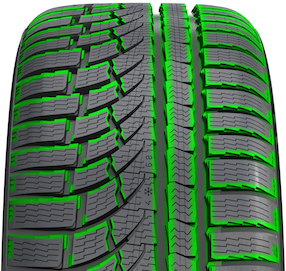 The strong arrow shape of the tread pattern effectively prevents slush-planing. At the same time, the tread has the best possible self-cleaning properties in deep snow. • This sporty grip champion is the result of nearly four years of careful development. Due to the determined testing at Nokian Tyres' own test centres in Ivalo and Nokia, the Hakkapeliitta 8 SUV carries and controls its high wheel loads stably and firmly, regardless of whether driving on ice, snow, dry roads, or hazardous slush. In addition to the weather, drivers on Northern roads face challenges in the form of uneven, frost-damaged roads, and the cutting edges of curb stones.